The seventh installment of the extremely popular series of Japanese RPG games created by Square Enix. The production became famous as one of the most cult parts of the cycle, offering a heart-gripping story and many solutions adopted later permanently into the genre. Final Fantasy VII is the next installment of one of the most popular series of Japanese RPG games, initiated by Square (later transformed into Square Enix). Originally released in 1997 on the first PlayStation, but over the years it has been transferred to many other platforms. The main hero of the game is Cloud Strife - a former soldier, and now one of the members of the resistance movement Avalanche. The members of this group rebel against the actions of the powerful Shinra organization exploiting Mako, the life energy of the whole planet. Avalanche members believe that Shinra's actions have a negative impact on the environment, which may lead to the gradual destruction of the world. In order to prevent such a course of events, the resistance movement decides to blow up one of Mako's reactors, which is supposed to thwart Shinra's plans. It soon turns out, however, that the seed plot presented at the beginning of the game is only a drop in the sea of intrigue, during which members of Avalanche get involved in much bigger problems. The game is characteristic for classic representatives of the species. 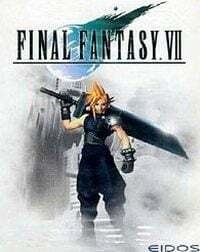 Cloud Strife and a group of friends explore powerful locations, fighting hundreds of enemies along the way and gaining experience that translates into improved skills. Fights are played in a system that combines turn-based elements and real-time battles. This means that each character carries out attacks in a specific order, but if you don't select a command for a long time, the opponent will first perform an action. Heroes can deal damage in the traditional way, but often it is much more effective to use magic, which uses the appropriate pointer. Each character can create special materials that develop specific skills.